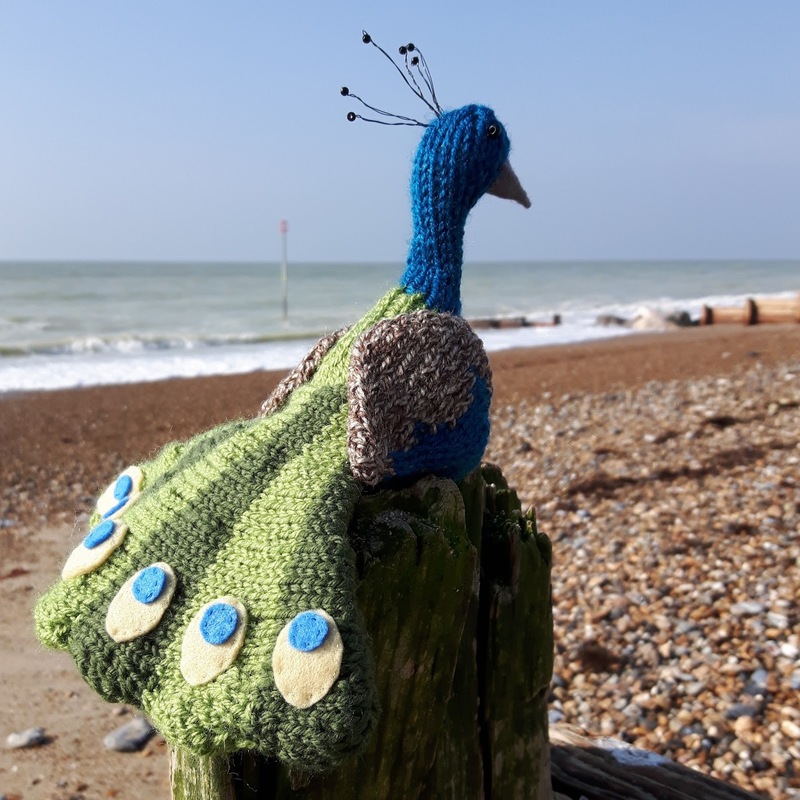 Here’s another of my new designs – a knitted peacock. It’s not often that you spot a peacock on Worthing beach. The seagulls didn’t quite know what to make of it. Yarn Shop Day at Seeded! I’m afraid there isn’t a pattern for this one – I only ever made a prototype and then decided it was too tricky to turn into a workable knitting pattern, sorry!